If you were to sit and pay close attention to my social media accounts on Facebook, Twitter, Instagram, and Pinterest, you'd see that I post alllll day long. Including sometimes at like 4:00 am. When I first started blogging I literally had reminders set on my iPhone that said “Time to tweet!” Turns out there's a much, much easier way. 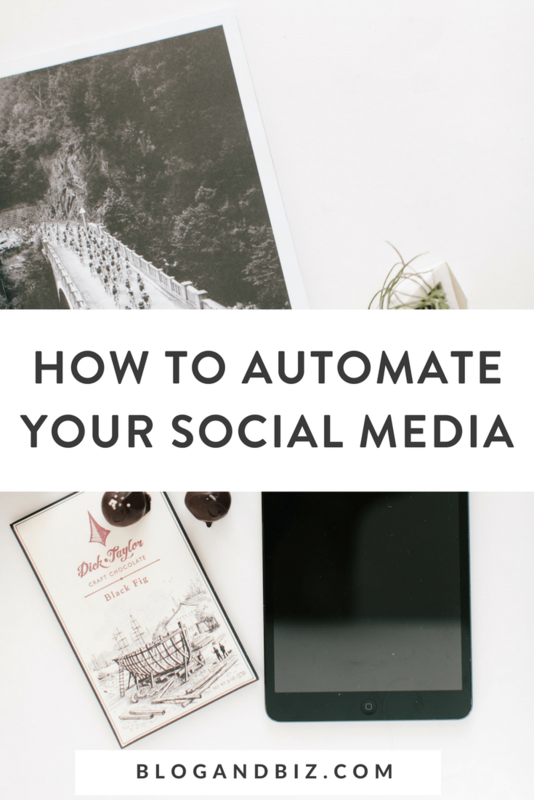 If you learn how to automate your social media you can save hours of time, be more productive, and boost traffic to your blog. It's so worth it. To be fair, my Instagram is not automated. All of my Instagram posts are actually me posting. But Twitter, Facebook, and Pinterest are almost entirely automated. Sometimes there are multiple days in a row where I don't touch any of them! But I'm still posting constantly. It's magic. So let's talk about how, shall we? Note: This post contains affiliate links. That means that if you sign up through my link, I get a small referral fee. There is zero cost to you. I appreciate your support! Now, there are other social media automation tools out there. These are not the only ones. But these are the ones I use. And I didn't just pick randomly. There are unique features on these that I LOVE and that save SO much time. Shall we? Meet Edgar automates your Twitter and Facebook (and also LinkedIn, but who uses LinkedIn for blogging?). You put in your tweets or posts ahead of time, set a schedule, and Edgar sends them out throughout the day. But, that's not that amazing. What is amazing is that Edgar doesn't delete the tweets or posts. It recycles them. 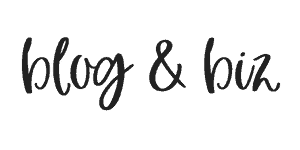 So, say I have 20 tweets about my blog posts. It goes through the first one, the second, the third, and so on. When it finishes number 20, it goes back to number one. Can we talk about how incredible this is? It means that I only have to tweet one time about each blog post, and it will get cycled forever and ever. This is amazing because there's no reason that you need a unique tweet every time you tweet and link to your blog post, right? No one is going to notice that you tweeted the same thing a week ago. This saves SO much time and effort. I have a very complicated schedule on Meet Edgar. I should probably reorganize it. But the point is, I tweet/post to my heart's content without ever touching Twitter or Facebook. BoardBooster saves my life. BoardBooster automates your Pinterest and it is amazing. Pinterest would be the BIGGEST time waster if it weren't for BoardBooster. I pin around 50 pins per day using BoardBooster and Tailwind. But I spend just a few minutes a day on Pinterest (although occasionally I decide that Pinterest is really fun and I'll sit on there for like an hour…but that's rare). I wrote a whole article about how I use BoardBooster right here. 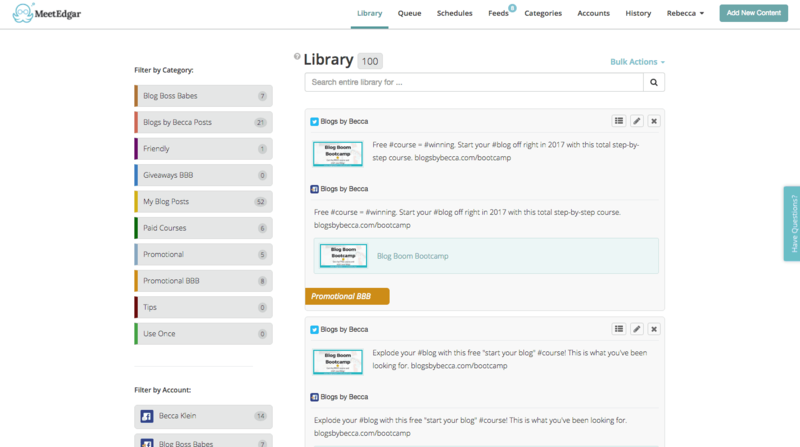 BoardBooster has three main features. First, it has the Scheduler. This allows you to pin your pins ahead of time and then they go out on a set schedule throughout the day. BoardBooster creates a secret board for each of your real boards. So you pin to the secret board, and then BoardBooster pulls a set number of pins (however many you want per day) off the secret board and pins them onto the real board. So you're not pinning 100 things at once. You're pinning once every few hours. It also has a feature called Looping. BoardBooster takes your old pins and repins them on a loop. So the thing that you pinned two months ago now has a chance to get seen again. It will also delete the duplicate pin, so you don't have 20 of the same pin on your board. This allows you to pin as much as you want without doing a single thing. It's completely automated. Third, BoardBooster has Campaigns. This allows you to pin to multiple group boards at the same time. You can tell it to pull from a particular source board and then pin to any number of group boards. So you can basically forget about your group boards forever. Extra points: It also has a feature called the Pin Doctor. The Doctor will go through all of your pins and tell you which ones have broken links, missing descriptions, and other bad stuff (Pinterest penalizes you for this stuff). Obviously it would take approximately the rest of your life to do this yourself. So, I am in love with BoardBooster. 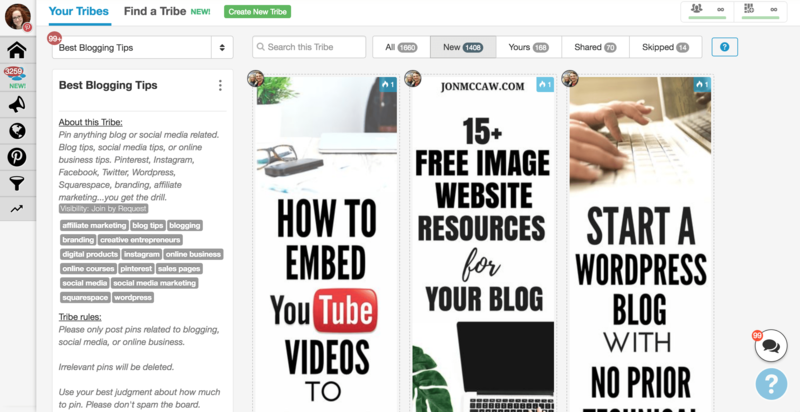 When you're learning how to automate your social media, you can't leave out Pinterest. Tailwind is the other Pinterest tool that I use to automate my social media. Tailwind has pin scheduling features. It's got tons of analytics. And it's got Tribes, which are groups where you can share your pins and then get them reshared by the group. I wrote a whole article about how to use Tailwind right here. So, yeah. Automating social media pretty much equals my favorite thing ever. If you were to ask me how to be more productive on your blog, this would be my number one answer. High five for cool things on the Internet. What are you doing to automate your accounts? ?